Generally ships within 24 hours. 19-gauge steel frame with metal under bracing on seat for added durability. 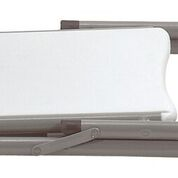 Single hinges on each side for added stability and durability. 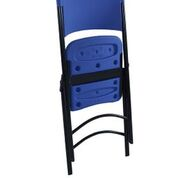 Two cross braces for strength with a 480 lb weight capacity. 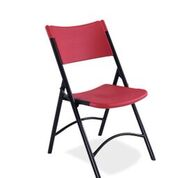 Available in 3 colors: light gray seat/back and textured powder-coated gray frame as well as red or blue seat/back and powder-coated black frame. Q: What is the warranty on these chairs? 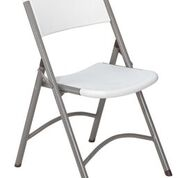 Fast Shipping: Orders for the National Public Seating 600 (4-Pack) generally leave the warehouse within 1-2 business days. Dimensions: 32" x 21" x 18"